Best of 2011!!! Giveaway Hop! (USA/CAN) ARC of Faerie Ring, Swag, and "Mystery Books"
I want to win because I've always wanted to read this book. It seems like a very interesting book after seeing so many good reviews as well as hearing good things about this book. I've heard a bit about this book and I'm curious. Thanks! I want to win because I haven't read any fairy books and this one looks great! I've seen a lot about this book and I appreciate your rec! Thanks fort he chance to win! I love reading and I haven't read this book yet! I would love to win :) Thanks for the great giveaway. .....because I am a bookaholic and I NEED more books! I would love to win because my husband seems to think I don't need any more books, and I am determined to prove him wrong. I have read really great things about The Faerie ring! I would love to read! I want to win because I have been seeing this book among the blogs and it really looks very good. I want to win because this book is really great and book swag is so cool! I would like to win the book because of how good it sounds. I would like to win because i have been dying to read this book! Its been on my tbr list since it came out!! I also LOVE surprises!! This has been the #1 book on my wish list for months. Thanks for the awesome giveaway, and I hope you had a great holiday! I would like to win because I love reading and this looks like a great book! I would love to win because this book is on my TBR list. It sounds so good. Thanks for the giveaway. I love fairy books and I love getting surprises! Thank you so much for the giveaway. I am dying to read this book! It sounds like a good read and I'm always interested in reading new authors (or new to me authors). I would love to win this giveaway as I have heard raves about this book and it sounds like I would love it!! It is on my wishlist, however, with the holidays, and being unemployed, it will be awhile before I can buy it for myself. book as I just love to read. I want to win because I am a Book Addict and I've not read this one yet. I would love to win this book because it sounds like a great book to read. This sounds like a great book can't wait to read it! Thank you very much for the great giveaway! I want to win because this book looks fantastic! Thank you! It seems like this could be an awesome character driven novel. There is a lot going on, I hope to read it soon whether I win it or no. I want to win because it sounds like a great book. I want to win because this is a book on my TBR pile. I have read lots of vampire and zombie books this year, but no fairy books yet. I have been wanting to read this bok. I love books about Victorian London and the cover is awesome. Plus fairies are always a plus. Thanks for the giveaway. This looks like an amazing read!! Thanks for the giveaway!! This book sounds awesome but I wouldn't mind winning any of the prizes!! They all sound great!! I've heard such great things about this book, but truthfully, I just LOVE WINNING!! My daughter would LOVE this book, that is why I would like to win. :) Thanks for the giveaway! 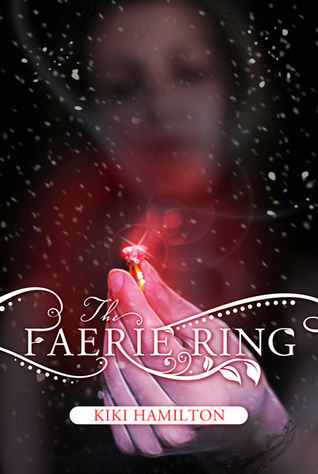 The Faerie Ring sounds amazing! I'd love to win it!! Because I don't have enough books! Ok, that's probably not true. I hadn't heard about this book before, but I would like to win because what you posted sounds interesting. This sounds like it could be a great adventure.